Title: Who is Ana Mandietta? 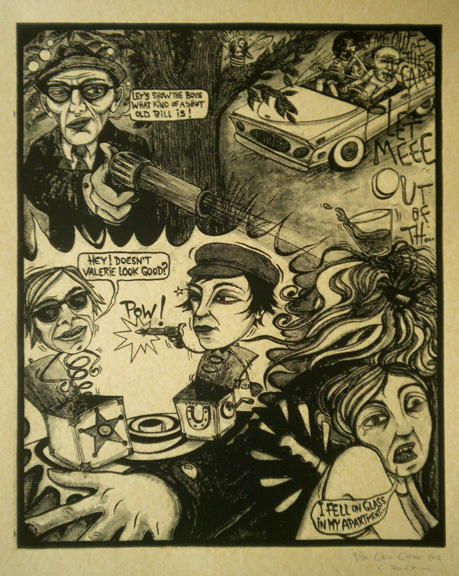 It seems like the life of Ana Mandietta was social commentary from start to finish. Although born in Cuba, she was brought to the United States as a child, one of thousands under the CIA campaign Operation Peter Pan in the early 1960’s. Over the next decade, like Ana, the world around her was coming of age: U.S. political movements, Latin American revolutions, as well as the cultural worlds of music and art. She began a rise of notoriety in the U.S. as a new kind of modern artist (a feminist), where she embraced and confronted tumultuous times, applauding the opening of minds while pointing out the hypocrisy of where they stayed closed. This was especially the case around the question of women–our rights as well as our popular representation. In the 1980’s, just as Ana’s work was gaining exciting new attention, she died under mysterious circumstances–having apparently jumped out of her apartment window while arguing with her husband. This book is not only the story of Ana’s life, but a histroy of the dismissal of women in the art world, as well as the scene’s suspicious apologism for domestic violence at the hands of male artists. Christine Redfern and Caro Caron are both hard at work here, emersing you into another world–the world of American art and politics of the era. I really appreciate a lot of the imagery here, seeing as I wasn’t around to witness any of these iconic events first-hand. Pages are densely packed with information that isn’t always explained, (faces, sayings, music lyrics, historical venues) and I like being given the space to explore, wonder, and look things up (I will add, to their credit, that Christine and Caro did do a lot of work for the reader: the inside cover of the book is a portrait gallery of “who’s who’s” of the contemporary scene, as well as a glossary in the back). The style of the art itself, although not Ana’s style necessarily, is nonetheless a nod to her ethos and carries a lot of feminist undertones–there is a lot of symbolism mixed with a lot of reality, if that makes any sense. For example, her body is shown being figuratively impaled by tree roots in one scene, to describe a deep emotional connection with nature–but the illustration of her dead body after she, according to her husband, jumped out of her apartment window, is so sadly realistic. Her face is crushed, her underwear is wrinkled, her body is contorted. Unlike many comic book artists, who strive to make a woman to look perfectly beautiful even after a violent death, Who is Ana Mandietta? is a continuation of one of the legacies of feminist art: to diametrically portray more of how women [really] feel inside, hand-in-hand with with how things [really] are on the outside… a magical realism of sorts. 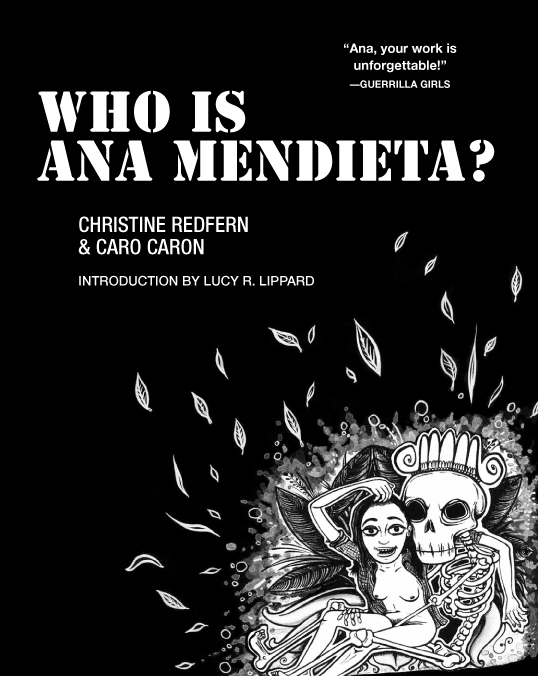 This is one of my favorite political comics yet, and one that I highly recommend, but readers should be warned: you need an open mind in order to appreciate the full power of Ana’s artwork, as well as this monumental book.